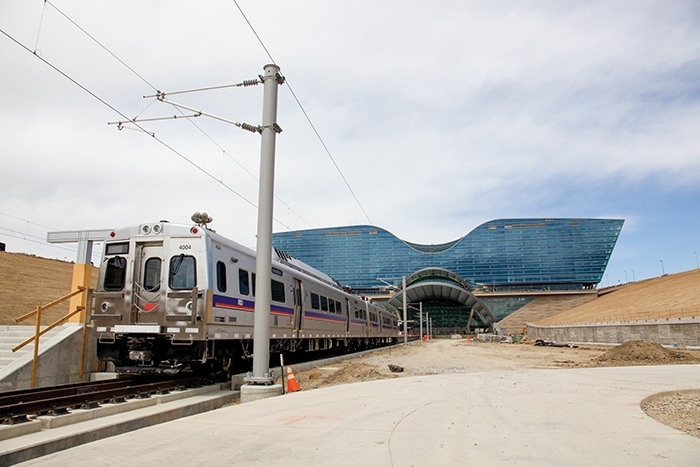 I put on my old journalism hat – some people say I never took it off – when ColoradoBiz editor and former colleague Mike Taylor accepted my story idea on how mass transit is shaping development in the Denver metro region. Anyone who has been around Denver for a few decades is amazed at how the city and its suburbs have transformed, and the introduction of light rail is at the center of the boom. I started researching the story with one question: How much money has been invested in transit, and how much investment has it spurred? It turns out no one has studied the matter, which is quizzical to me because every big city in the country wants transit and TODs, or transit-oriented development. Maybe they should know why they want it. The best number I could come up with is more than $15 billion that has been invested by taxpayers and developers. With the system half built and scheduled to complete during the next couple years, we could easily see another $5 billion or more if the economy holds up. It’s sad that former RTD general manager Cal Marsella wasn’t around to see something he envisioned back in the 1990s when the first battle for area-wide light rail was fought: the Air Train, now known as the University of Colorado A Line. What’s CU doing buying naming rights for a transit line, by the way? I thought it was hard up for funding. Marsella, who Mayor Michael Hancock called the “godfather of light rail,” died unexpectedly of unknown causes on his way to the airport in March. He was only 65. Cal, as he was known to everyone who worked with him, had his enemies, many of them on dysfunctional RTD boards. He took a lot of heat but he also masterminded an amazing transit system and fought the political battles to get it passed and help make Denver great. I would have liked to ride the train to the airport with him. I leave you with some words said about Cal at his funeral. “Cal Marsella was remarkable and truly unique, from the way he could engage you in a deeply personal conversation to the way he could move an organization and galvanize the entire region’s conscience. Cal had an incredible ability to share with all around him the vision he created, and most importantly, create a shared level of intense passion for that vision. Even though he was my boss for 14 years, Cal would not allow me to say that I worked for him, he instead always said that I worked with him as a member of his team. And he truly meant that. He positively influenced me and all of us in the metro area. He made us look to the possible, to take a different look at what we could be, and most of all, to focus on what we should be. And for that, we will continue to thank Cal for generations to come.”– Scott Reed, assistant general manager, communications, Regional Transportation District.